Harden's Guides have been compiling reviews of the best restaurants in Nottingham since 1998. Hardens guides have spent 15 years compiling reviews of the best Nottingham restaurants. 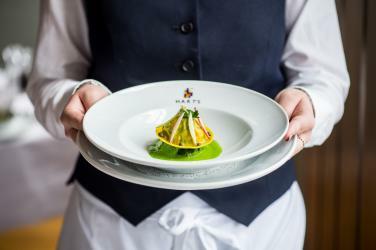 On Hardens.com you'll find details and reviews of 95 restaurants in Nottingham and our unique survey based approach to rating and reviewing Nottingham restaurants gives you the best insight into the top restaurants in every area and of every type of cuisine. A popular and “interesting” two-floor veggie “just out of town” in Beeston, with a “small but select wine list” and decent lunch deals; by all accounts it’s “well worth a try” (even for carnivores). Offering “excellent and authentic Sichuan cooking in a basic, student-friendly setting”, this Lace Market outfit, always buzzing with “lots of Chinese customers” (good sign), is “worth a visit…no, I mean several visits”. These are the top restaurants in Nottingham based on reviews by Hardens users.